The Choice Homes 2018 ABA TOUR kicks off with the Good Earth Surf Shop West OZ event presented by Bali Bodyboarding and by all accounts looks like competitors and onlookers are in for a great weekend of waves and good times. The wave: Gas Bay, Western Australia, known for its oceanic slabs and unique wedges, it’ll be an action-packed start to the year. Where: Gas Bay, Western Australia. What to expect: Get involved in the free, family friendly event with coaching from one of the sports greatest superstars Ryan Hardy, prizes, Vintage bodyboard division/ collection... and of course, witness the highest level of competitive bodyboarding in Australia with Pro and Pro Junior athletes giving it their all. 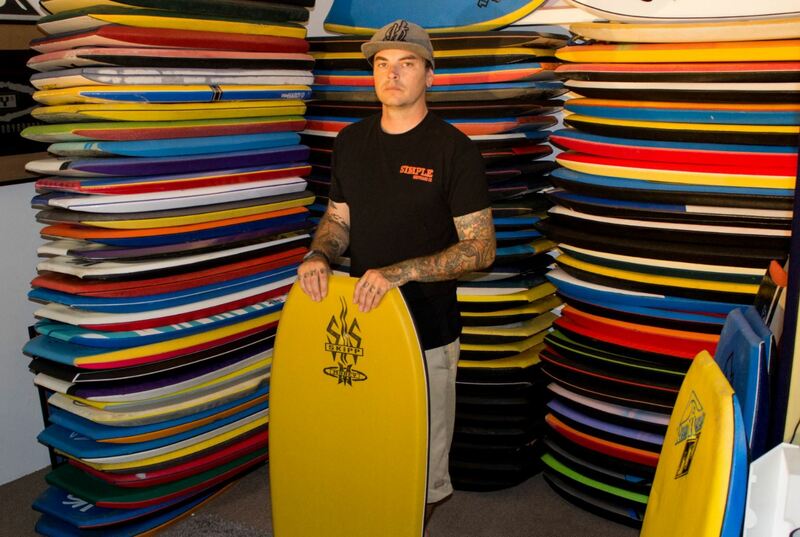 When it comes to vintage bodyboard collecting, namely for the Morey Boogie brand, their is one collector that stands out from the rest with arguably the best collection in the southern hemisphere. When did you start collecting vintage boards and how many do you have? I'd always kind of collected boards, like I kept all my previous boards from back when i was a grom until now but started focusing on collecting vintage boards back in 2014. My first vintage find was a 1996 Morey Mike stewart 7-42 with the metallic blue slick.. after that i was hooked haha. I still have my very first slick board, a Rheopaipo Termite from 1995. It was a pretty crappy board but i loved it, all my pocket money went into paying it off each week and finally my parents had enough of taking me to the local surf shop and just got it for me. 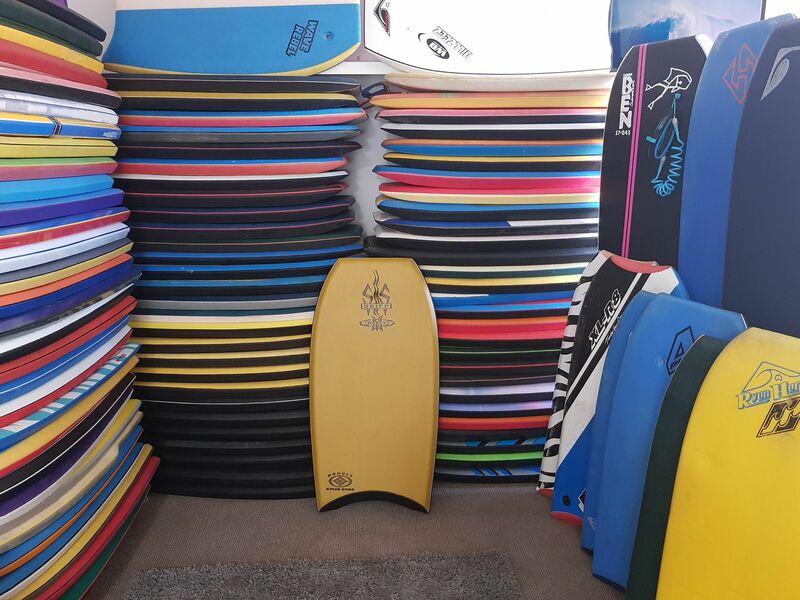 At the moment I currently have 103 bodyboards stashed away, the most i had was 112 at one stage. It goes up and down all the time if I'm buying or trading with others for specific boards I've been hunting down. What impact do you feel the addition of the Vintage division will have on the ABA tour and Australian Bodyboarding in general? The vintage bodyboard movement has exploded in the past year, we've seen a ton of people getting back out in the water whether to be for a bit of fitness or to socialise. I've met a lot of the VBC crew out in the lineups, had good yarns with them even met some life long friends thru collecting and just bodyboarding in general. After the downturn of the mid to late 2000's I'm stoked to see there's a resurgence of more people getting back on the boog, hopefully we all make bodyboarding great again haha. With the ABA getting onboard, I see it as only a positive thing, It means that the older crew can get back into competing but in a more relaxed environment and the younger crew can have some fun on boards they may not have used or even seen before and not only that guys that aren't pros can join in, as long as you have a Pre - 2000 board and an entry fee your golden! What's your top three prized boards and are you taking these (and more) to the Gas Bay event 24 - 25 March? 1. 1999 Toobs Ryan Hardy - his first pro model board he gave to me. 2. 1996 Morey Spencer Skipper - i always wanted one when i was a kid seeing the ads in Riptide and frothing on his style in mags and on videos. 3. 1997 Morey Mike Stewart Launch Vehicle - its just a highly sort after board and before Vintage Bodyboard Collectors facebook page started they were super hard to find, especially in good condition. Yeah I will be taking down some of my favourites and a few more for everyone to have a suss. I think it's the best way to show people some of the history of our sport and where our modern boards evolved from. Would you have the largest Vintage Collection in the Southern Hemisphere, or specifically of Morey Boogies? I'm not 100% sure i have the biggest collection but I'm guessing its up there haha, i mainly focus on the vintage Moreys, I currently have 60 of them. I have been told its the biggest Morey collection to date. 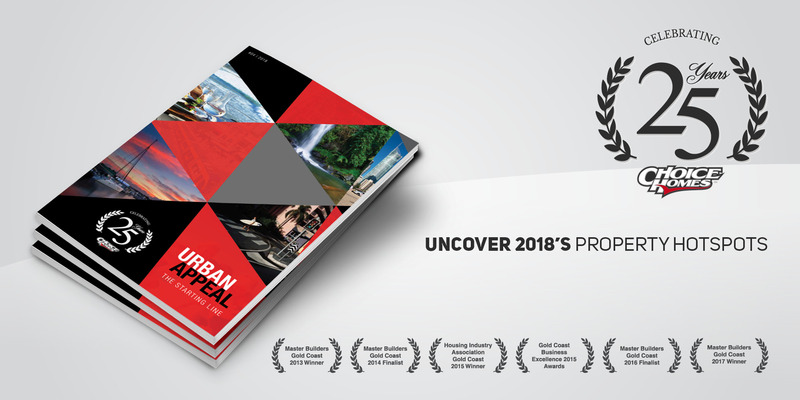 That's amazing Adrian,why have you chosen Morey Boogie as your collector brand of choice? I chose to focus on Morey because that's where bodyboarding began back in 1971 with Tom Morey inventing the boogie board. As time went on they were ahead of the game with weird and innovative ideas like the dimple slicks, retractable skegs on the Mach 20 RS and some of the best riders of all time had awesome pro models. Thank you so much for your time Adrian, see you and all your awesome boards at the 2018 ABA TOUR Good Earth Surf Shop West OZ event presented by Bali Bodyboarding.